Smaller payments could see farmers stop food production and force them to abandon their land, according to the European Commission spokesman, raising fears of rural depopulation. One MSP has warned reduced payments “spell disaster” for those living outside towns and cities. The EU official said agriculture is “keeping people in the rural countryside” in Scotland and farmers are “essentially being kept on the land by those subsidies”. “If those stop you have to ask yourself what is the incentive for people to stay on the land,” he told journalists in Brussels. “What is the incentive for them to continue to sustainably manage the land? The official said this will accelerate rural depopulation and stop making those communities viable. He added: “The reality is all of our territories are becoming increasingly urbanised. “People are moving into towns and we need to sustain rural communities. “I’m not saying farmers are the backbone of rural communities but a lot of rural communities revolve around small agri-food businesses. “To keep people in the rural countryside you have to keep the services. So the school stays, the pharmacy stays, the local stays. The UK is to operate its own subsidy system from 2021 after leaving the EU’s Common Agricultural Policy, which delivers £3 billion a year to domestic farmers. 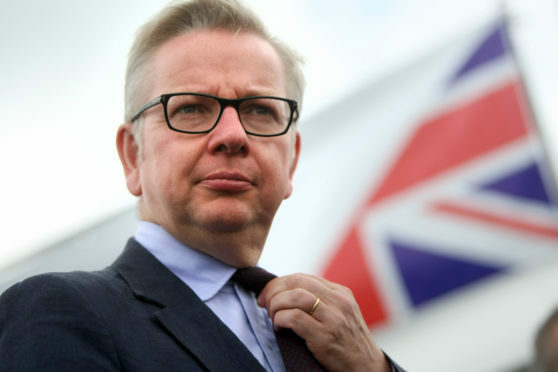 Environment Secretary Michael Gove has said the new system will reward farmers who protect the environment. But the UK Government, which provides agricultural funding for the devolved parts of the UK, has not revealed how that will affect farmers financially. Mike Rumbles, the North East MSP for the Lib Dems, said: “Brexit absolutely must not be allowed to take a scythe to our rural regions. “This provides more certainty than any other EU member state. “Our landmark Agriculture Bill will break from the Common Agricultural Policy and free up farmers to continue producing world-class food while sustaining our precious natural environment. “Agriculture is a devolved issue so it is rightly up to the Scottish Government to determine how its farmers will be supported, taking into account their own geographical and environmental circumstances. Rural Economy Secretary Fergus Ewing said: “Since my first meeting with the Secretary of State for Environment, I have been pressing the case for our hill farmers and making precisely the arguments that the EU Commissioner is now making. “The reality is that failure to support our hill farmers will lead to land abandonment and a lack of stewardship, as well as threats to rural communities. I will continue to press these arguments to ensure Defra and the UK Government fully understand the impact this would have on Scottish hill farmers.